It was not long ago that the Abbott government vowed to champion free speech, pledging to amend Section 18C of the Racial Discrimination Act, a section of the act that made almost completely useless speech illegal. This commitment was re-affirmed a number of times, including again in early 2015 after the Charlie Hebdo massacre. It seems however the government’s commitment to free speech is largely selective, actively working to keep the marginalised and powerless out of the debate, happy to gag and attack those who dissent. The recently introduced Border Force Act has raised the ire of a number of individuals and professional bodies, gaining significant media attention with a possible two year prison sentence for speaking about the conditions in immigration detention. Much has been said about how this will impact on the ability of health professionals to report abuse and advocate for patients, however less has been said about how this will only further silence those who are genuinely voiceless. The stories we hear from within detention centres are often told through third parties, with many former employees feeling compelled to speak on behalf of those who could not. For all the noise surrounding immigration detention policies, how many of those voices are refugees or asylum seekers? 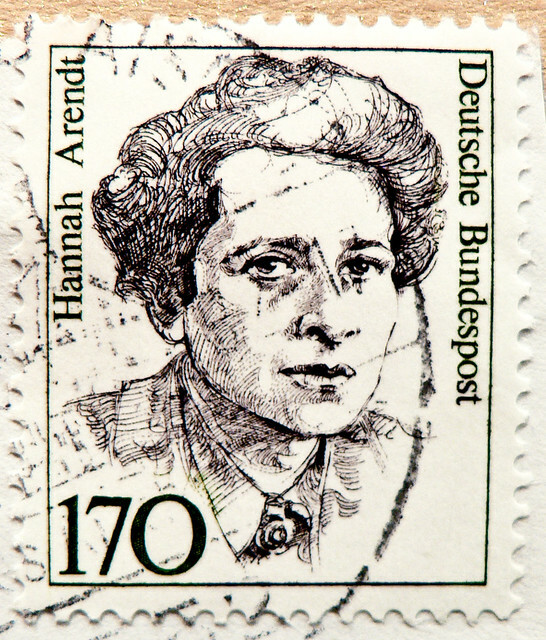 Hannah Arendt explored this powerlessness in The Origins of Totalitarianism, she argued that even though human rights are proclaimed to be universal, asylum seekers and stateless persons were left with nothing to protect their rights, effectively in limbo, no longer a member of a community where their rights could be enforced. This precarious situation has often been referred to as “the right to have rights”. She emphasised how this stripped away the right to make oneself heard and opinions matter. Immigration detention in Australia compounds this powerlessness by further limiting asylum seekers ability to control their own lives and speak candidly about their circumstances. Andre Dao reminds us that this powerlessness can manifest in asylum seekers gambling on their bodies, a symbolic way to regain some control, to be heard. As Dao puts it “you are no longer a human being with free will. Instead, you’re a problem to be managed, an object to be processed.” Few better statements sum this up than these words recalled by an ex-detainee on a hunger strike who was being spoken to by a department employee. Although a number of asylum seekers have spoken out over the years, their voices rarely make it to the mainstream. Furthermore there remains the expectation of silence both during and after detention, it is not until permanent residency has been gained and families reunited that many feel safe to speak about their experiences. Maintaining this silence is key to maintaining our current approach to asylum seekers. The system has been built around rhetoric and misinformation, from children overboard to the present day. Most people can bark back three word slogans, but fewer could tell you what percentage of the world’s asylum seekers arrive on our shores or begin to explain the trauma and torture many have faced before finding safety. The voices we most need in our debates around asylum seeker policy in Australia are absent, not only that, they are actively excluded. So as well as threatening professionals with gaol time, the Border Force Act only further ensures that that we never get to hear these stories, it ensures that we don’t know who we are locking up or for what reason. It’s not obvious how the Border Force Act serves to “stop the boats” or “smash the people smugglers business model”, taking into account the boats stopped a long time ago. In attempting to justify this legislation however, the rhetoric has boiled down to a very familiar means justifying the ends rationale, something we should all be careful of and something where it seems appropriate to leave the last words with Hannah Arendt. PhD Candidate, The University of Sydney. So the fact that we even have experimental drugs for the disease tells a story about how responses to global health crises are shaped by the social and political interests of the developed world. Major pharmaceutical companies have shown little interest in developing effective treatments for diseases such as this. There’s no incentive for the commercial risks of research and companies naturally prefer to focus on diseases that can sustain large markets of wealthy regular users. A similar inattention is suffered by people who have what are collectively known as neglected tropical diseases, which affect about a billion of the world’s poorest people. They cause death and ill-health but also entrench social and political disadvantage. Even though most are preventable, and easily treatable with appropriate resources. For those affected, the burden of these diseases, on average, equates to the loss of 56 years of healthy life through early death or chronic disability. Yet, the US Centers for Disease Control estimates that for 50 cents per year per person, the burden of neglected tropical diseases could be eliminated. So it seems a little incongruous that drugs for Ebola virus disease were in development at all, given the relatively small number of cases and the poverty of those most at risk of infection. Let’s consider the most advanced drug: ZMapp, which is produced by Mapp Biopharmaceuticals and is the experimental treatment the fuss has been about. The incentive for developing ZMapp was clearly not its broad commercial potential. Instead, it is for developing capacity for biodefence. China is in the midst of conducting a series of corruption investigations of pharmaceutical companies that have been operating in the country. It all started with the investigation of officials from pharmaceutical company GlaxoSmithKline, who were reportedly engaged in “bribery and corruption” in China. The officials apparently used travel agencies to funnel illegal payments to doctors and government officials. That was in July. In August, Associated Press reported French drug company Sanofi was being investigated for bribing Chinese doctors in 2007. And late last week, South China Morning Post reported that German pharmaceutical conglomerate Bayer had joined the ranks of companies being investigated by the Chinese. That report mentioned pharmaceutical companies Eli Lilly, Novo Nordisk, H Lundbeck, AstraZeneca and UCB had also been contacted by Chinese investigators. Do consumer groups really advocate for the public interest? The Guardian recently claimed to have exposed an attempt by a number of pharmaceutical companies to thwart efforts by the European drug regulator (the European Medicines Agency) to have all clinical trial data made available to the public. The tactic is apparently being used by industry, and coordinated by the Pharmaceutical Research and Manufacturers of America (PhRMA) and the European Federation of Pharmaceutical Industries and Associations (EFPIA).